The National Union of Rail, Maritime and Transport Workers (RMT) is calling on train operators’ management to “come out of hiding” and relieve the pressure on front-line rail workers who are facing public anger over train disruption. Disruption on railways in the South East and the North has been commonplace since a new timetable was launched on 20 May, and a “recovery plan” and interim timetables have been published by several franchises with the aim of reducing services to a manageable level. But passengers have faced a welter of last-minute cancellations and delays, and station staff have been confronted and in some cases verbally abused by irate commuters. At London Bridge earlier this week, platform assistants were unable to tell passengers how long they would have to wait for their trains because a lightning strike on equipment had added to the timetable issues. Queues of angry, gesticulating commuters formed as assistants repeatedly explained they had no information and others appeared to try to avoid the public. RMT general secretary Mick Cash today defended rail staff in robust terms. He said: “My members, working at the sharp end of the cancelled and delayed services, are bearing the brunt of the public anger without a shred of support from Govia, Arriva or the Department for Transport. 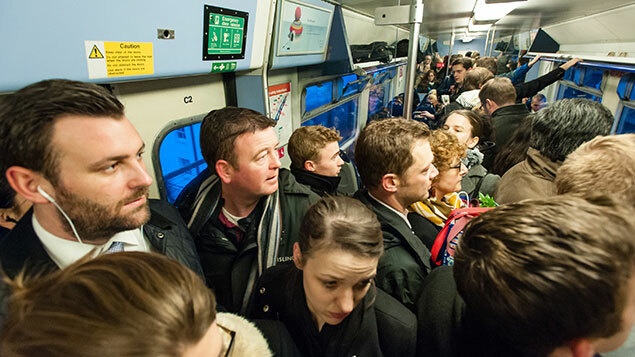 One train driver, who wished to remain anonymous, told Personnel Today he was among commuters caught up in the chaos when travelling to London for work. “Staff are very tired of it – we’re getting a lot of grief, particularly drivers on driver-only trains. This week, on my way to drive a service, I saw so many passengers crowding round platform staff that I got off and waded in to help. He added, however, that morale hadn’t yet noticeably declined, partly because staff had become used to dealing with irate commuters during previous periods of poor service. In a sign that the problems are escalating, London mayor Sadiq Khan has demanded that transport secretary Chris Grayling should uphold passengers’ interests and that operator Govia Thameslink should be stripped of its franchise. Keith Richmond, spokesman for Aslef, which represents nearly 20,000 train drivers, said that failure to appreciate manpower levels were at the heart of the issue: ”The fundamental problem is that the company does not employ enough drivers to deliver the service it is pledged to deliver,” he said. The changes – the most significant since the Victorian era, according to rail firm Govia Thameslink Railway (GTR) – directly affect four networks in the South East: Thameslink, Southern, Great Northern (which operates to Cambridge and Peterborough) and Gatwick Express. They are designed to increase capacity to allow 50,000 more commuter journeys into London in peak hours, alleviating problems caused by sharply rising demand, which on some lines has doubled in the past 12 years, according to GTR. Rail operators had warned passengers of the likelihood of disruption with GTR warning that the sheer number of changes required and late running engineering improvements had led to drivers not being trained to work on the new routes.